Product Image May Not Reflect This Model. Cleco 236 Series Heavy Duty Head Right Angle Grinders for Type 1 Cut-Off Wheels feature rugged and durable aluminum housing. Cleco 236 Series Heavy Duty Head Right Angle Grinders for Type 1 Cut-Off Wheels have a robust and long lasting angle head for the most demanding applications. Cleco 236 Series Heavy Duty Head Right Angle Grinders for Type 1 Cut-Off Wheels feature a powerful motor that stays durable in the harshest environments. When it comes to fine finishing applications such as die grinding or de-burring, no tools are better suited for the job than Cleco 236 Series Heavy Duty Head Right Angle Grinders for Type 1 Cut-Off Wheels. Cleco 236 Series Heavy Duty Head Right Angle Grinders for Type 1 Cut-Off Wheels' reputation for durability, dependability and versatility is among the highest for fine finishing applications. This is the result of years of continuous improvements in engineering design and manufacturing processes. 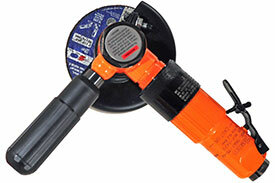 Cleco 236 Series Heavy Duty Head Right Angle Grinders for Type 1 Cut-Off Wheels are designed with the operator in mind. Cleco 236 Series Heavy Duty Head Right Angle Grinders for Type 1 Cut-Off Wheels are small, lightweight and comfortable to use, without sacrificing durability. Plus, they incorporate elastomer coatings, and perfectly balanced moving parts to keep vibration to a minimum. This optimal combination of tool characteristics allows the operator to focus doing the best job possible, in the least amount of time. The 236GLR-115A-W3T4 Cleco 236 Series Heavy Duty Head Right Angle Grinder for Type 1 Cut-Off Wheels is one of thousands of quality tooling products available from MRO Tools. Please browse Cleco 236 Series Heavy Duty Head Right Angle Grinders for Type 1 Cut-Off Wheels for tools similar to the 236GLR-115A-W3T4 Cleco 236 Series Heavy Duty Head Right Angle Grinder for Type 1 Cut-Off Wheels. 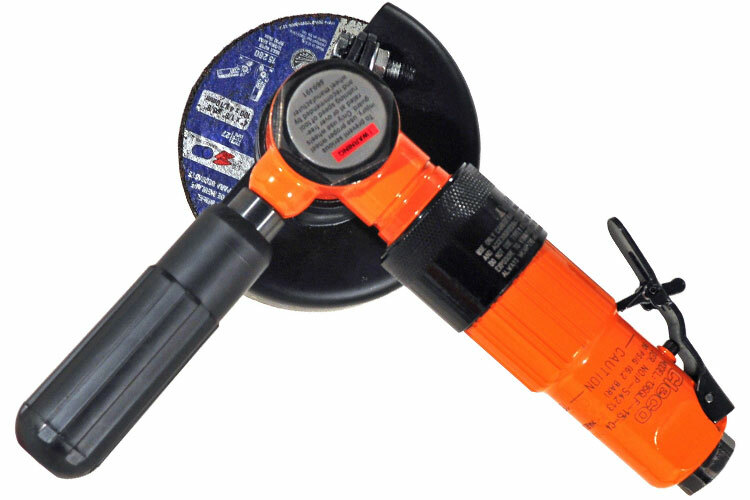 236GLR-115A-W3T4 Cleco 236 Series Heavy Duty Head Right Angle Grinder for Type 1 Cut-Off Wheels description summary: Cleco 236 Series Heavy Duty Head Right Angle Grinder for Type 1 Cut-Off Wheels Free Speed (rpm): 11,500 Abrasive Capacity: 4''/100mm Type 1 Type Housing: Aluminum Air Inlet Size: 3.2'' Air Inlet Size: 1/4'' Quantity discounts may be available for the 236GLR-115A-W3T4 Cleco 236 Series Heavy Duty Head Right Angle Grinder for Type 1 Cut-Off Wheels. Please contact MRO Tools for details.